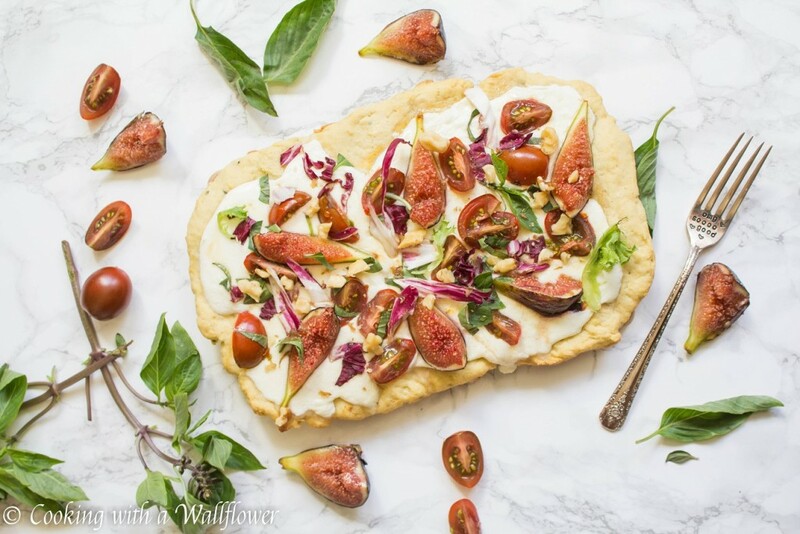 Flatbread topped with melted mozzarella, fresh figs, cherry tomatoes, basil, mixed greens, roasted walnuts, and a drizzle of honey. 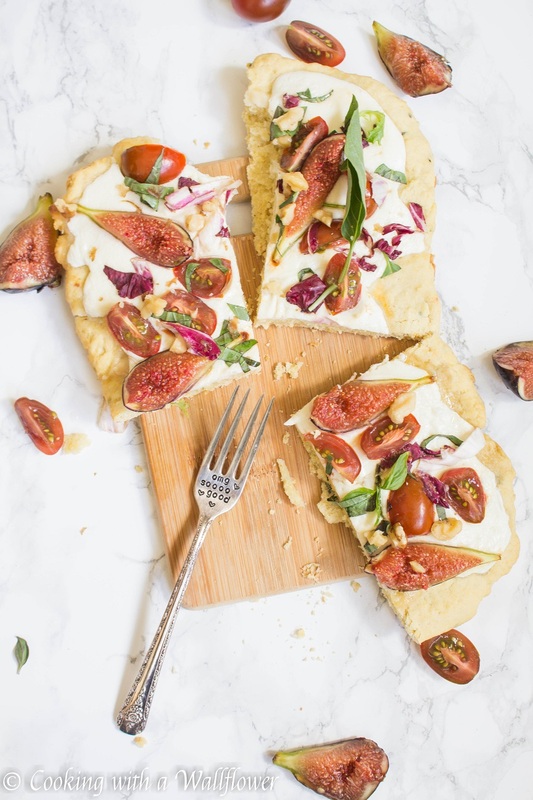 This fig caprese flatbread is delicious and perfect as a meal or an appetizer to share with others. I am sooo soooo excited for this week to start! I think it’s because there’s so much going on towards the end of this week. I’m taking this Friday off from work so that I can attend the Brit+Co Remake Summit, where you can learn from and meet some of the most successful creative entrepreneurs. Different keynote speakers will be there including Tyra Banks, Sophia Amoruso, Amanda Haas, and a few others. I really can’t wait! Normally, I would go to the Saturday event, which is the Brit+Co Remake Festival. There are a ton of freebies and crafting workshop stations. If you’re in the city, you should definitely go. It’s free! But this year, I’ll be missing it. But that’s okay, there’s always next year. 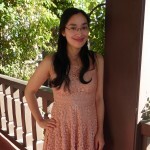 One of my closest friends, Kim from SweetKimplicity, will be getting married Saturday! Her wedding will consist of DIY decorations and games that she and her fiancé have made together over the past year. It’s definitely going to be an exciting week! 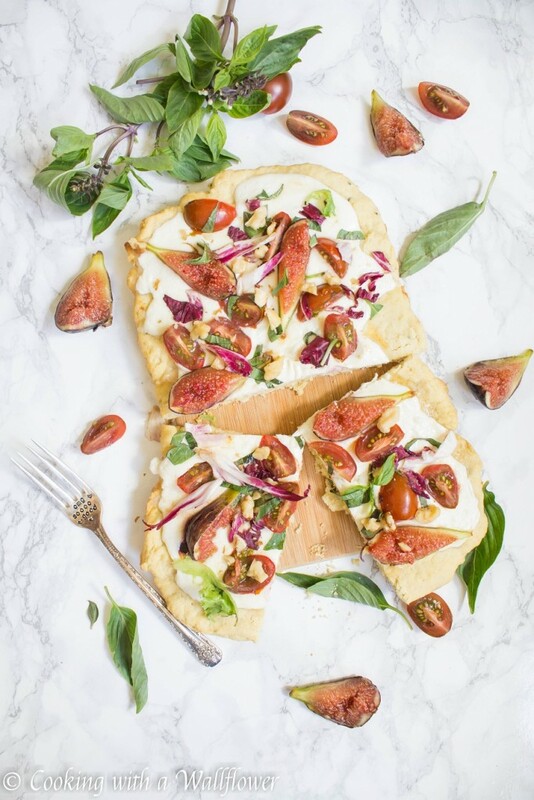 So, can we talk about this fig caprese flatbread for a sec? I’m just kinda, sorta obsessed with the simplicity of flatbreads. It’s crusty on the outside and soft on the inside. They’re simple to make and require no yeast! Which is definitely a plus for me because let’s be honest, I almost have no patience for waiting for my food. And most of the time, yeast makes me wait! 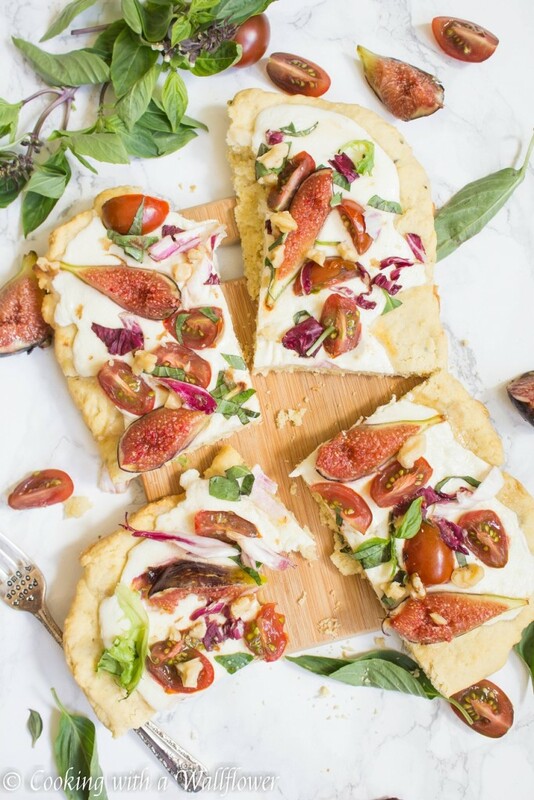 All you have to do is bake the flatbread, top with your favorite ingredients, and then place the flatbread back into the oven for an additional few minutes until all that mozzarella is warm and melted. And I put a lot because I love warm melted cheese. Seriously, all 8 ounces of fresh mozzarella. Sooo good. 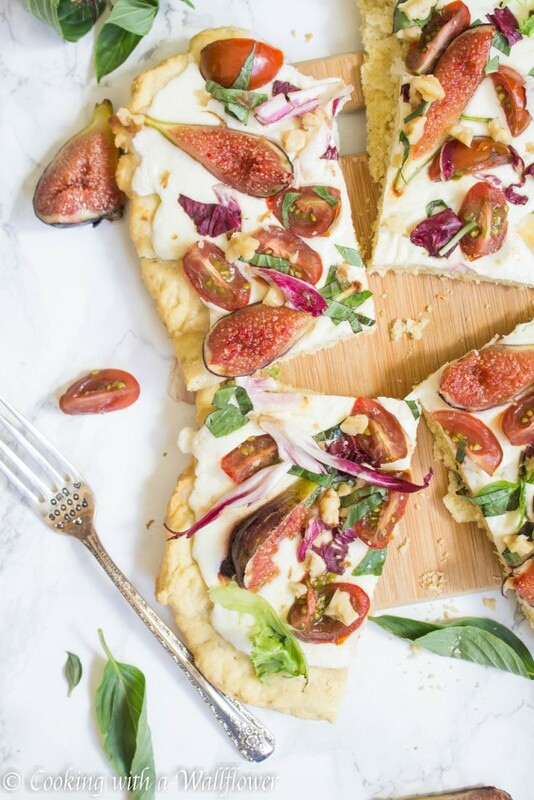 This flatbread is topped with fresh figs, tomatoes, basil, and just a little bit of mixed greens. My bag of mixed greens had a lot of radicchio so I chopped that up and scattered it onto the flatbread. Simple to make, so delicious, and definitely shareable. And yes, I totally do sometimeseat pizzas, flatbreads, and burgers with a fork and knife. I don’t always like to eat food with my hands. *shrug* Does anyone else feel the same way? 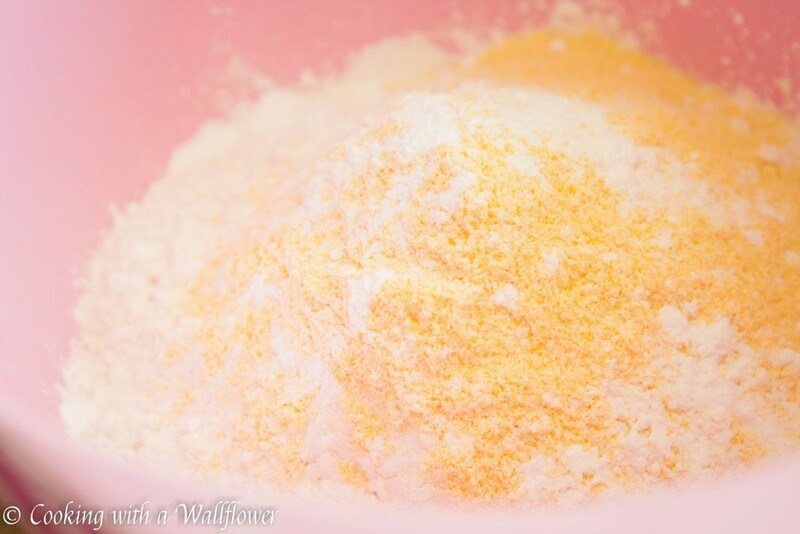 In a medium mixing bowl, combine flour, cornmeal, baking powder, Italian seasoning, garlic powder, and salt. Add olive oil and water and mix until a dough forms. 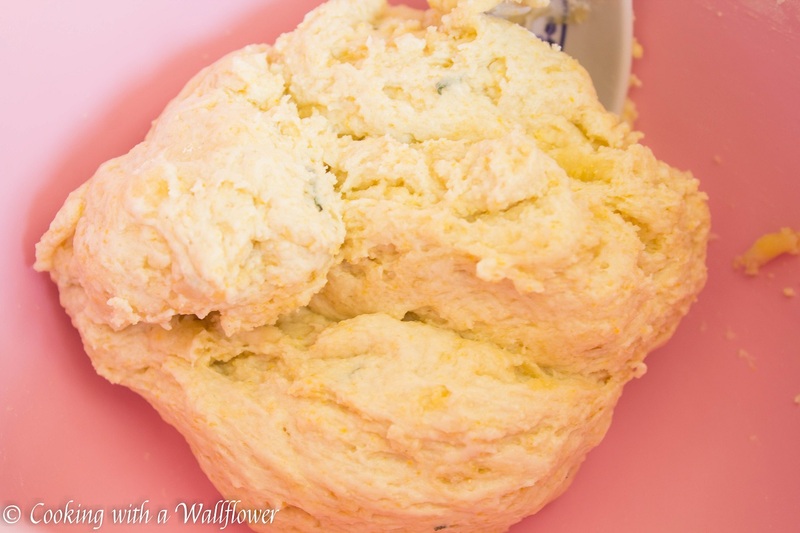 Roll the dough into a ball and knead it a few times on a floured surface before flattening the dough. You’ll want to roll the dough out as much as possible, about a ¼ inch thick. It’s a flatbread after all. Bake the flatbread on a baking sheet for about 10-12 minutes until the bread starts to appear golden. Remove the flatbread from the oven. 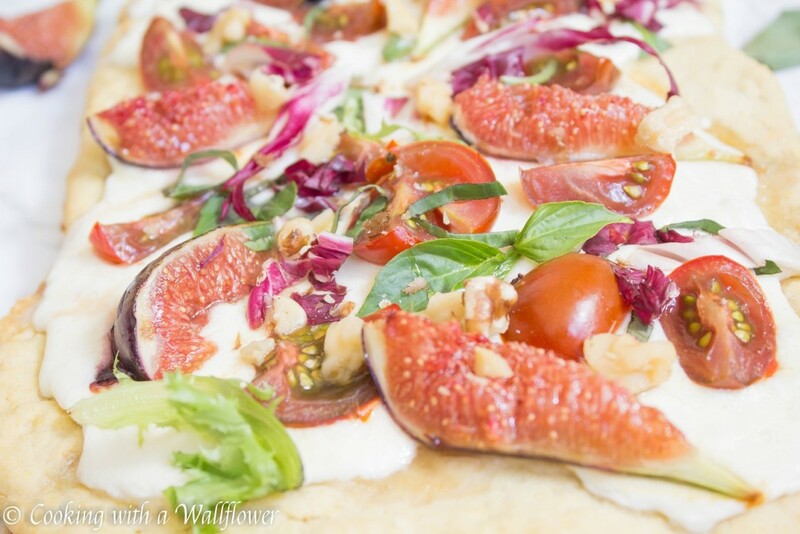 Top it with sliced mozzarella cheese, and return it to the oven for another 10 minutes until the cheese has melted. 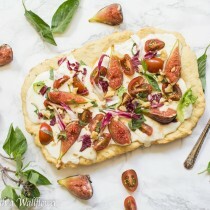 Now, add fresh figs, halved cherry tomatoes, torn basil, and mixed greens. Drizzle with honey and top with roasted walnuts. Lightly season with a pinch of salt to taste. Let the flatbread cool for a few minutes before cutting into them. 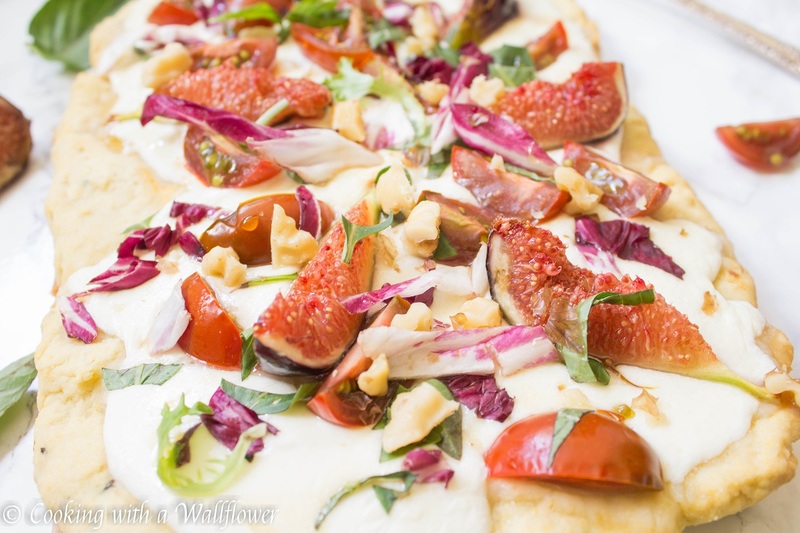 Serve the fig caprese flatbread warm. Roll the dough into a ball and knead it a few times on a floured surface before flattening the dough, about a ¼ inch thick. Now, add fresh figs, halved cherry tomatoes, torn basil, and mixed greens. Drizzle with honey and top with roasted walnuts. Lightly season with a pinch of salt to taste, if desired. 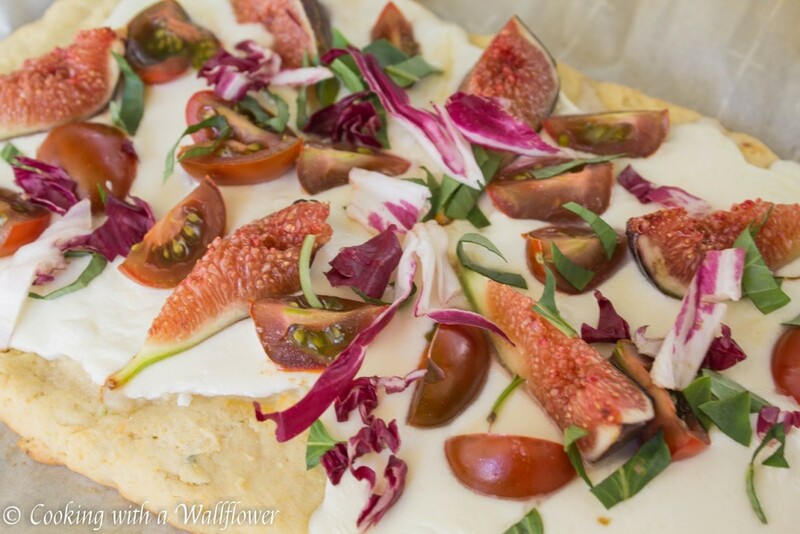 Join me and other food bloggers at Fiesta Friday where you’ll find a ton of delicious recipes. This entry was posted in Appetizers, Entree, Fall Cravings, Farmer's Market, Pizza, Quick and Easy, Recipes, Summer Cravings, Vegetarian and tagged appetizer, caprese, entree, farmer's market, fig, flatbread, pizza, vegetarian, weeknight dinner. The fork says it all!